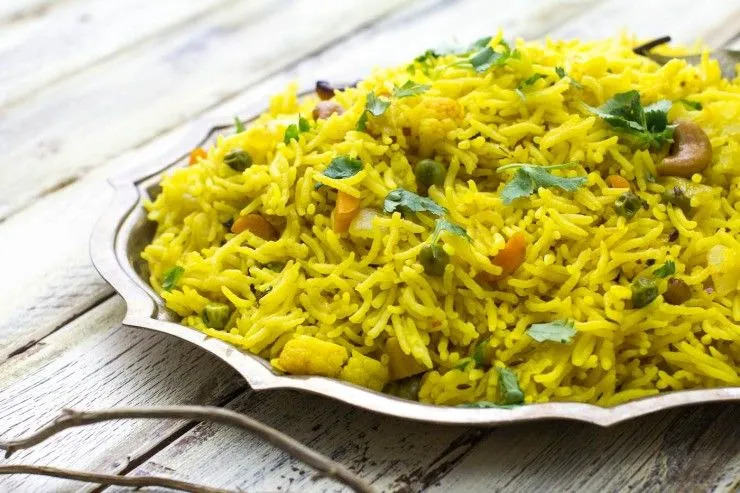 If you could tell the history of rice pilaf, you could tell the history of the world to at least as far back as Alexander the Great. It’s a dish that is ubiquitous across most of the world’s cuisines. This is probably because it is such a great dish for large gatherings. To make a large pot of rice pilaf is not much more difficult than to make a small pot. Of course, every region adds their own flair to the dish. In India, rice pilaf is called pulao and it has many variations from region to region. It is most popular in the northern areas, such as Kashmir and Gujarat where my family is from. This is probably because it most likely came to India from the Persians. Persian dishes tend to be most popular closest to Iran and fade in popularity as you move southeast across the subcontinent. 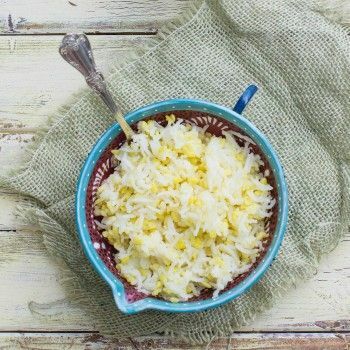 Alexander the Great is said to have first eaten Pilaf in the Bactria region of Iran, which is now a part of Afghanistan. Bactria is where his wife, Roxana, was most likely born. I can imagine pots of fragrant rice pilaf being served at gatherings for ancient dignitaries, perhaps even his wedding (I’m just guessing here). 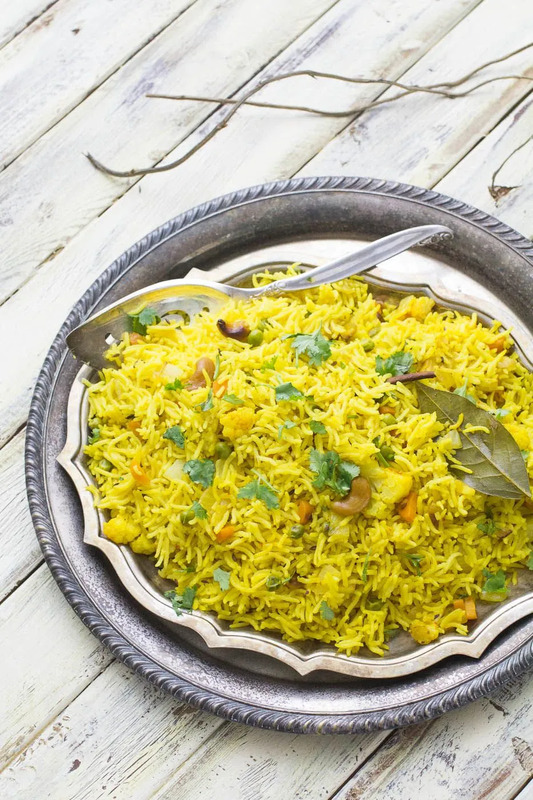 Biryani is another Indian dish that was highly influenced by pilaf, but pulao is much simpler. It makes for a great, quick meal. All you have to do is saute some vegetables and rice and then simmer it all in a pot. 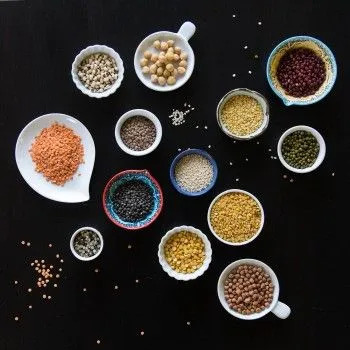 It isn’t much more difficult than making a pot of rice, but you get all of the flavor and nutritional benefits of the added vegetables and spices. 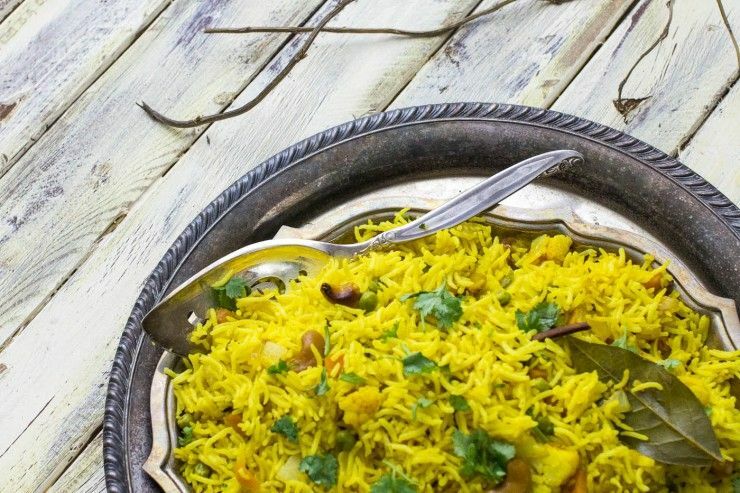 When we lived in India, my mom would often suddenly find herself entertaining a large group of people, which meant scrambling to make a meal to fix for them. Pulao was the perfect dish for such an occasion! Rinse the rice, soak for 30 minutes. Make a “vaghaar” by putting a little oil in a pan. While the oil is heating, put the cashews in. After the cashews toast a little, remove them and set them aside. Then add the cumin seeds. When they become toasty and fragrant, add onions and garlic. Saute the onions and garlic until they start to soften. Then add the vegetables: peas, carrots and cauliflower. When the vegetables begin to soften, add in the dry rice. Saute this for about 30 seconds to toast the rice. Put all of this into a pot, add three cups of water, the toasted cashews, bay leaf, cloves, chili powder, turmeric and salt to taste and bring to a boil. Cover and reduce the heat to low. Allow to cook for 12 minutes. Turn off heat. Let it rest for 5 minutes. Remove lid. Fluff with fork. If you are short on time, skip the soaking. The rice will still turn out great. 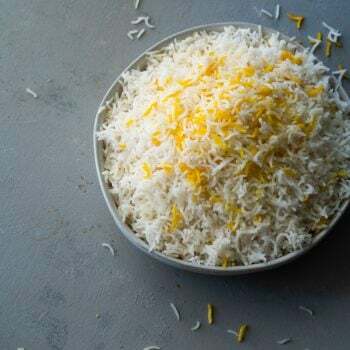 Soaking the rice helps the grains bloom and give you the beautiful long grains that basmati rice is known for but this step is not essential for flavor. 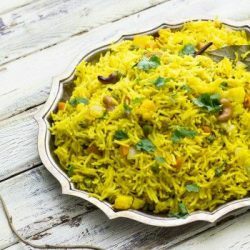 Comments on "Pulao Recipe (Indian Rice Pilaf)"
That rice looks SUCCULENT and then some!! Easy to make but lacks flavoring. After adding all those ingredients I was a little dissapointed.